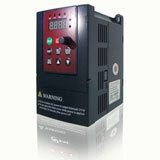 The most effective VFD is which has universal optimized input converter with quality power conditioner to work flowlessly in any harsh environment as well as in bad power conditions with output module to execute the basic purpose of driving the motor in any kind of load conditions without affecting the life cycle span of motor. So the most effective VFD is define which generates less harmonics or having inbuilt harmonic filters, having less size, Accurate measurement of speed vs. torque., gives you max., gives maximum saving in terms of energy, maintenance of machine, motor. By the way, a very important thing for low speed applications, to be able to provide full torque all the way down to 0 RPM such as ABB's ACS800 series drives most pulse width modulated VFD cannot achieve this. 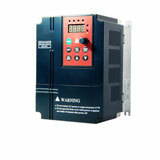 There have been many attempts to migrate the application of variable frequency drives from simple speed regulation to true servo control, which means closed-loop control of speed and position. The VFD servo cannot handle all of the applications that a traditional servo can, but many applications don't require the full capabilities of a "true" servo. Driven by advances in its capabilities, the VFD servo approach is gaining in popularity, primarily because when applied properly it can reduce system complexity and provide significant savings in initial and ongoing costs. Then most effective drive of today will be which can define how to leverage the ongoing evolution of the VFD into a drive scheme for servos.